For most residents of the Northern Hemisphere, 63 degrees and sunshine would be a welcome change after months of cold, wintry weather. 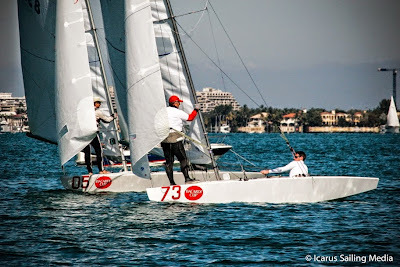 However, for the 56 Star teams that headed out on Biscayne Bay for the 86th BACARDI Cup, the light air that accompanied the chillier than usual temperatures allowed only one of two planned races to be held on the first day of competition. 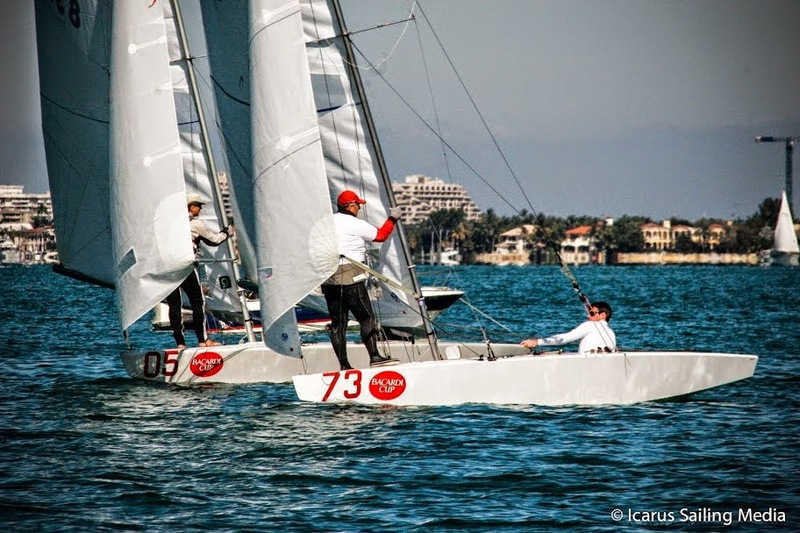 Anxious to get racing, the talent heavy fleet pushed the line which resulted in seven teams collecting OCS points as the headline event of the fourth annual BACARDI Miami Sailing Week (BMSW) presented by EFG Bank got underway in six knots of breeze. 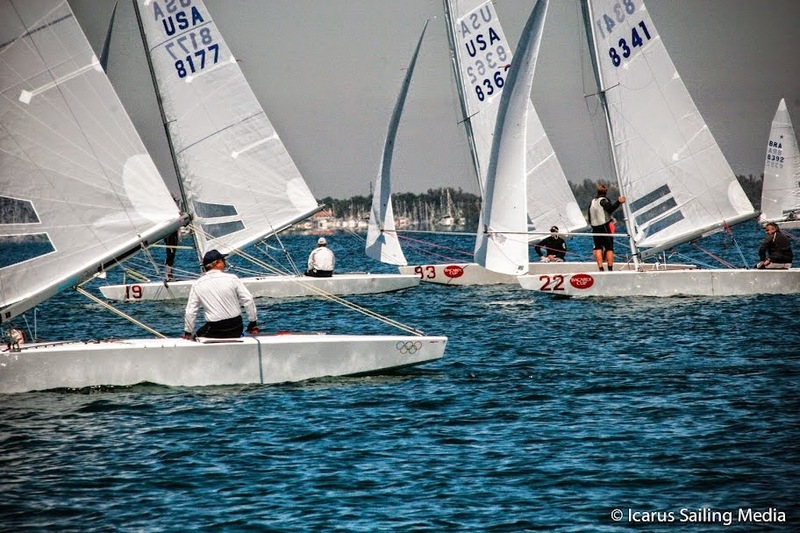 "Today's conditions were very tough, difficult to predict due to light wind and very shifty,” said Lars Grael, Brazil’s two--‐time (’88, ’96) Tornado Olympic Medalist, after he and crew Mario Logos won the day’s lone race. “The RC did its best to get a good start. 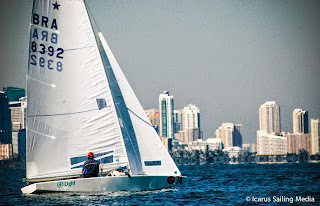 We were able to round the first mark in first and then able to get a good lead at the end of the downwind leg. The RC shortened the course and we managed to keep the lead until the end. 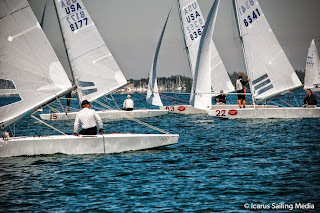 Good competition out there against the Irish [skipper Peter O’Leary] and Augie Diaz (Miami, Fla.). Overall, [it was] a difficult day as it was very hard to predict the wind." O'Leary, who crossed the finish line in second with crew Rodney Hagebols (AUS), concurred with Grael’s assessment. "Second in today's conditions is not bad at all. We had a good start but after the first mark we never thought we could catch Lars. Local Miami sailing star Augie Diaz, the 2003 Rolex Yachtsman of the Year, was happy with the third--‐place finish he earned with crew Arnis Baltins. "A top--‐10 is hard to get at the Bacardi Cup! Except for Lars, who was leading with a good margin, everyone else in the top 10 was racing competitively. Too early to say who will win the Cup, but Lars and Peter will be tough to beat. It’s no accident they are first and second today, I think they are the favorites."